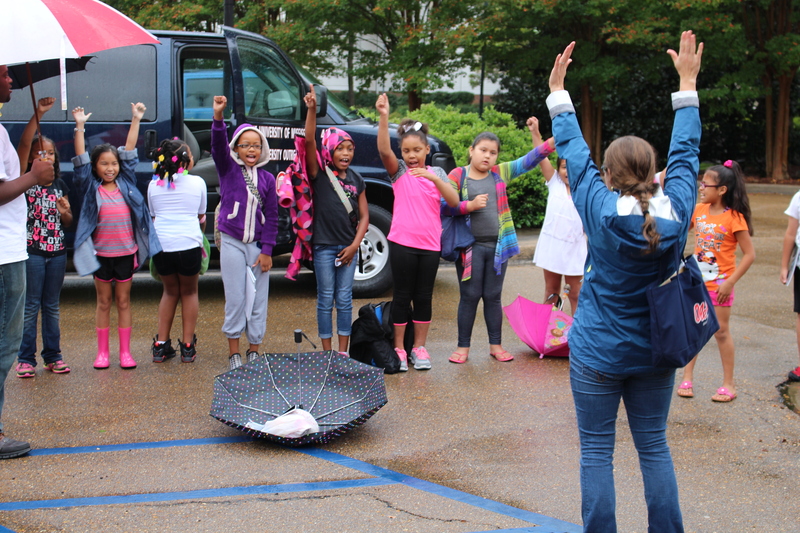 Horizons students returned to the University of Mississippi campus for their Horizons Saturday Round-Up in October. The turnout was tremendous with 85% of students attending despite the dreary weather. Students participated in a variety of activities on campus to reacquaint them with the Horizons program and their classmates. 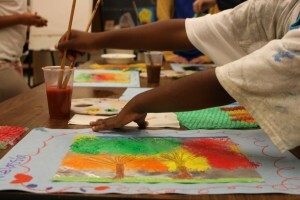 The University of Mississippi Museum hosted Horizons for a tour and artwork based on Theora Hamblett’s work using a variety of textures and materials. 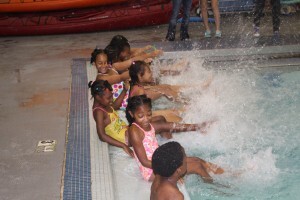 UM Campus Recreation welcomed Horizons to the Turner Center pool for swim lessons and activities. Oxford Catering Company helped provide delicious and affordable lunches for students. Horizons invites its students to return each summer until the summer after eighth grade and aims to retain 97% of its students from year to year. To that end, Emma Tkachuck, Horizons Director, sees great benefits to gathering the students on a Saturday during the school year. “It is an excellent reminder of how much our students and staff love the Horizons program, as well as an opportunity to get everyone looking forward to the summer,” shares Tkachuck. Year-round activities are an important effort to keep students coming back each summer. As the program continues to expand, Horizons is exploring at additional ways to engage students and families throughout the school year. Beginning in December, Horizons plans to partner with Ole Miss Women’s Basketball for mentoring and to have students and families attend a game. Having Horizons activities during the school year helps reintroduce students to traditions from the summer and strengthen the power of the Horizons community.